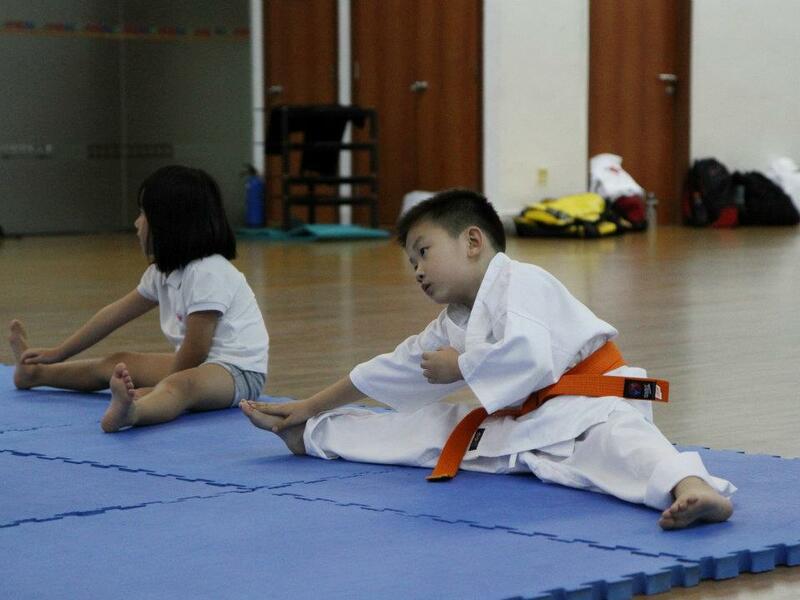 Stretching is undeniably an important element in karate training. Needless to say, you should know why it is so important to be able to stretch well. So, coming back to the fundamental; how to stretch? First, you will need to warm your muscle up. Stretching is not warming up, it is however, an important aspect of warming up.It is essential that you perform the general warm-up before you stretch. It is not a good idea to attempt to stretch before your muscles are warm. The general warm-up should begin with joint-rotations like what we will do during the first 10 minutes into the training. Starting from your toes and working your way up. This facilitates joint motion by lubricating the entire joint with synovial fluid. Such lubrication permits your joints to function more easily. You should be taking slow, relaxed breaths when you stretch, trying to exhale as the muscle is stretching. The proper way to breathe is to inhale slowly through the nose, expanding the abdomen (not the chest); hold the breath a moment; then exhale slowly through the mouth. Inhaling through the nose has several purposes including cleaning the air and insuring proper temperature and humidity for oxygen transfer into the lungs. 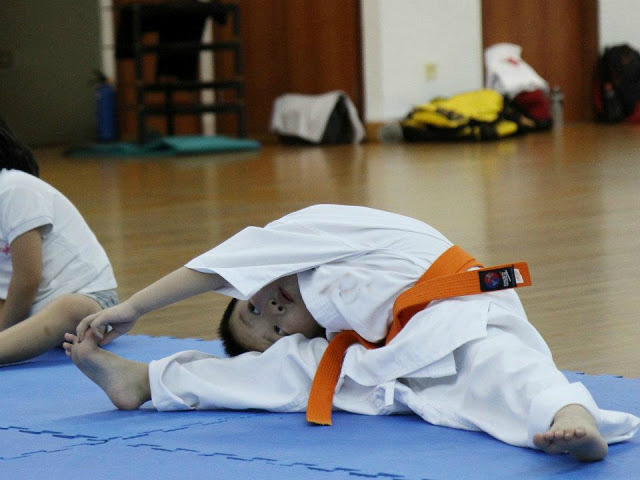 There aren’t any shortcuts to be able to stretch well overnight.As what Shihan Patrick always says, the way to stretch well is to keep stretching. Leave not your stretching frequency to training sessions but incorporate it in your daily routine. Posted on June 10, 2012 by admin. This entry was posted in stretching. Bookmark the permalink.